With obstacle runs being in vogue at the moment (and rightly so, they are great fun! ), knowing how to train for them so that you can have a good crack at all of the obstacles and make it through the distance without injury can be a challenge. With a huge range of races available from 5km – 40miles the amount of training and style will need to differ significantly. In a typical running event, being able to cover the distance is obviously essential as well as ensuring that the joints are conditioned and strong enough to last without injury. Obstacle racing adds another layer to this as you need to be able to run, hang, swim and climb all whilst running the distance. This means that your training programme has to ensure that you’re fit enough to complete the distance and have healthy, strong joints to prevent injury and manage all of the obstacles! 1. Get the miles under your belt on and off road – make sure that you have the relevant fitness complete the distance. Most of the obstacle runs are off road, so try to get at least some of your running completed off road. The uneven terrain will challenge the joints and your balance more, building up strength and reducing your risk of injury. 2. Hang tough – train to develop the best grip strength that you can hold and swing with your own bodyweight. Our bulletprooof body programming contains sessions such as ‘hang time’ to specifically develop grip and shoulder strength. 4. Develop good stability and strength through the ankles and hips. As you will be running a good distance (from 5k to 20miles+) you need to make sure that you have good running mechanics and aren’t going to end up injuring yourself by running with poor technique or lacking strength in the ankles and hips to cope with the off-road conditions. Make sure that you include lots of single leg work in your training programmes (such as lunges and step ups), and train with bare feet when squatting or deadlifting (this will enable you to develop a strong base of support and balance. The will be many obstacles such as high walls that will require you to be able to pull yourself up and over the top. Most of these races are team-orientated and people will help you over, but it’s always best to be able to do as much of the work yourself and give the rest of your teammates a hand! Exercises such as pull-ups, rows and pulldowns will all be beneficial in helping with this, as will press ups and dips to help you push yourself over obstacles and climb out of the inevitable water stages. 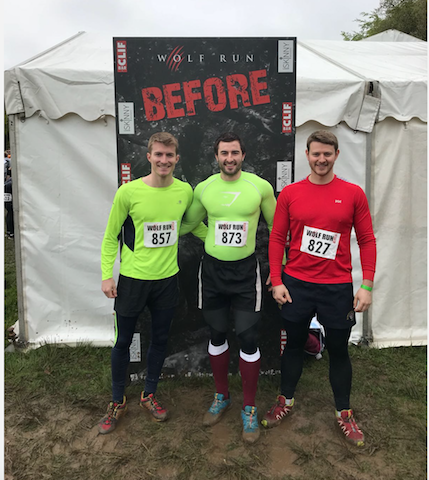 If you have all of this in place, you will be pretty well set up for anything that the course can throw at you and can enjoy the experience knowing that you will come out the other side tired, but having had great Fun along the way! For more session examples, check out @simple.sessions on Instagram. ENJOY! If you have any questions about this blog or the session, please feel free to e-mail or DM me on Instagram or Facebook!